All photos were taken by the author during one of his nine trips to the Holy Land. The Dead Sea Scrolls. The Dead Sea Scrolls is, in many scholars’ opinions, the most important biblical archaeological discovery of the 20th century. Copies of ancient documents were discovered in eleven caves along the northwestern shore of the Dead Sea in Israel. These scrolls date from approximately 2,000 years ago (200 BC to AD 68) and were discovered by a Bedouin shepherd sometime between November 1946 and February 1947. There are more than 40,000 fragments and 500 books, and all the books of the Bible are represented, in copies or commentaries. 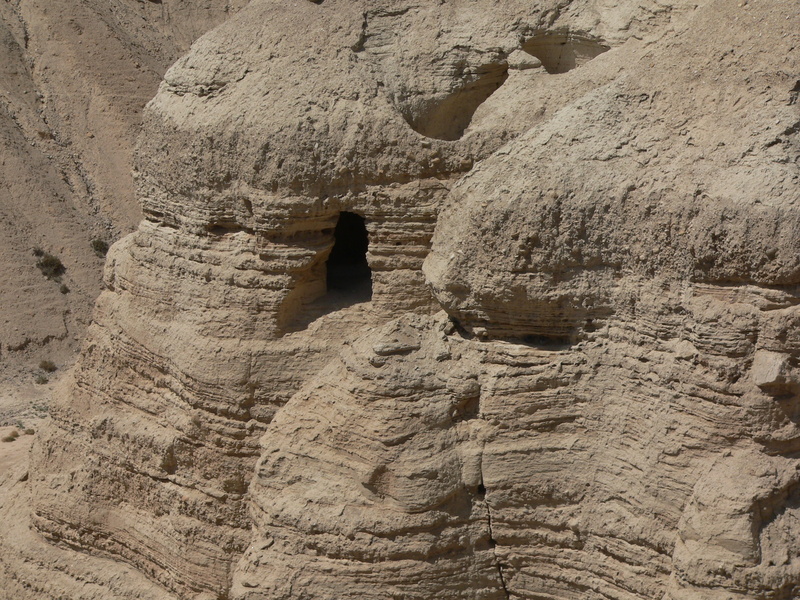 The caves are located around the area of Qumran, very close to the village where an ancient group of Jews known as Essenes lived. Some of the scrolls were housed in pottery jars, which were the best preserved, although they have greatly deteriorated in the years following their discovery since they were exposed to the elements. Perhaps the most valuable scroll is an entire book of Isaiah found in Cave 1, which was composed in the second century BC. The prophecies of Jesus, including Isaiah 53, read the same as the earliest copies we had before 1947, the Masoretic text, proving that the Old Testament is very accurate. Some of the scrolls can be visited at the Shrine of the Book museum in Jerusalem. The “Jesus Boat.” In 1986, a drought revealed a 2,000-year-old boat in the Sea of Galilee. It was 26 feet in length and 7-feet wide, which could have contained a dozen men. This discovery provides a glimpse of the type of boat used by Jesus and his disciples. 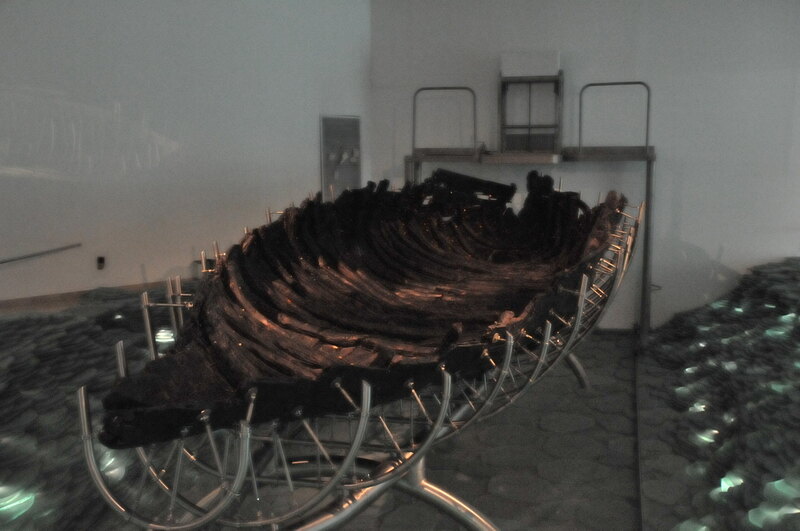 The boat was painstakingly raised and preserved; it resides today in the Yigal Allon Museum near the Sea of Galilee. 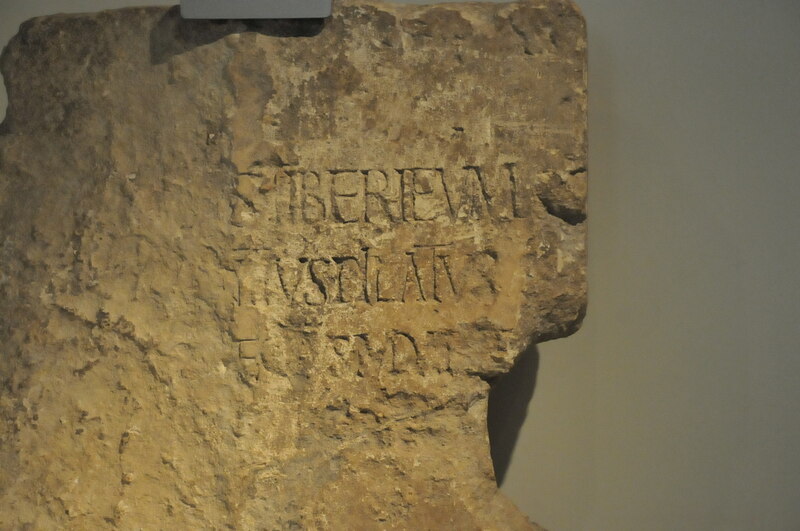 Translated, it says, “Tiberium Pontius Pilate Prefect of Judea.” The artifact can be visited today in the Israel Museum in Jerusalem. Hezekiah’s Tunnel. A 1750-foot (530m) tunnel that was chiseled during the reign of King Hezekiah to bring water from one side of the city to the other. Hezekiah’s Tunnel is mentioned in the Bible as having been built around 700 B.C. and was rediscovered in the 1830s. The Siloam Inscription, which was taken out of the wall at the end of the tunnel, is located in the Archaeological Museum in Istanbul, Turkey; it explains the process of building this tunnel, which allowed water to come into the walled city of Jerusalem from the Gihon Spring. It was dug from both ends and the workers met in the middle. This is certainly a marvel of ancient engineering. Had the tunnel followed a straight line, the length would have been 1070 feet, or 40% shorter. 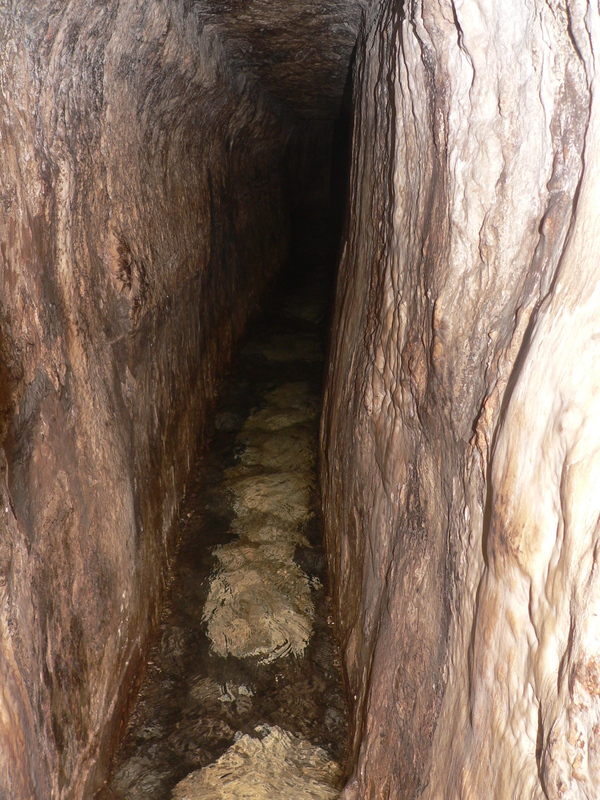 Today the adventurous tourist can slosh through the tunnel beginning just outside the old city of Jerusalem; it is amazing to feel the chisel-marked stones from 2700 years ago throughout the hike. The Tel Dan Stele. 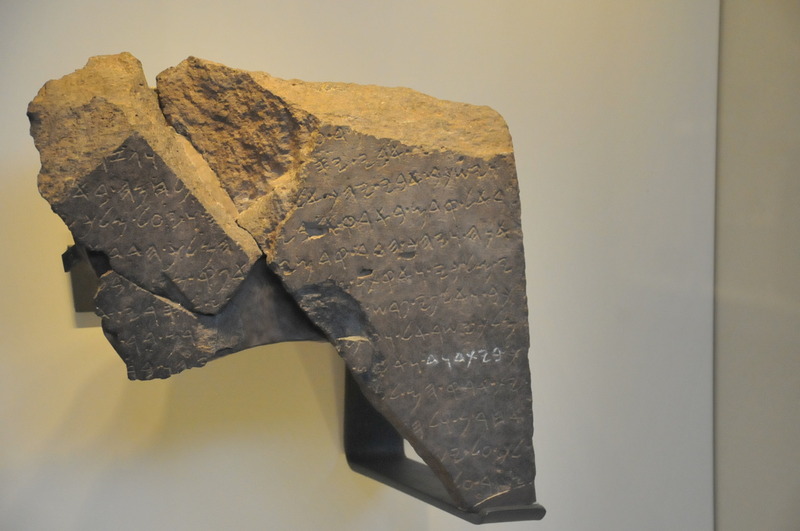 A broken inscribed stone that was discovered in the mid-1990s in northern Israel. This was a triumphal inscription written in Aramaic by Hazael of Aram-Damascus, an important regional figure in the late 9th century B.C. The king boasted of his victories over the king of Israel and his ally the king of the “House of David” (bytdwd). It is the first time the name of David is found in any archaeological discovery outside the pages of the Old Testament. According to the Biblical Archaeological Society, “King of Israel” is a term frequently found in the Bible, especially in the Book of Kings. This, however, may be the oldest extra-biblical reference to Israel in Semitic script. If this inscription proves anything, it shows that both Israel and Judah were important kingdoms at this time,” contrary to the claims of some scholarly Biblical scholars (“Ten Top Biblical Archaeological Discoveries,” p. 33). The artifact can be visited in the Israel Museum. Caiphas Osuary. 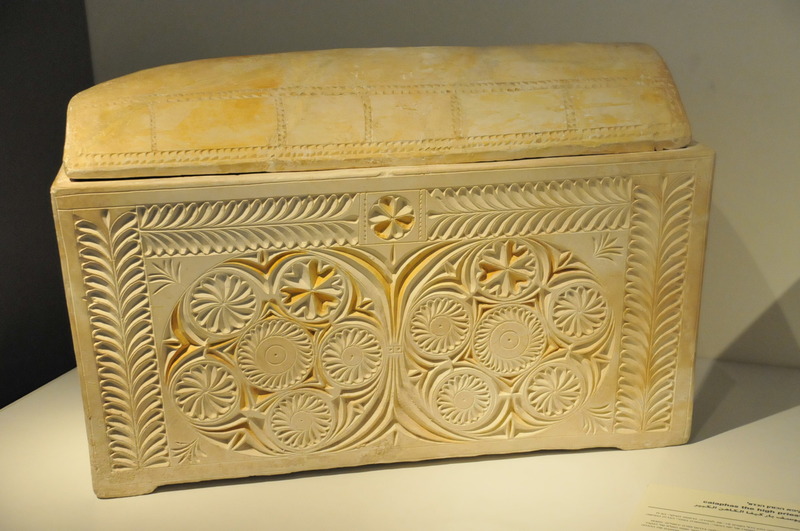 A decorated limestone box containing the bones of Caiphas, discovered among 12 ossuaries of Caiaphas’ family tomb in the early 1990s south of Jerusalem. An Aramaic inscription on the side has the name of “Caiaphas.” Most scholars believe this is the same Caiaphas who was the High Priest as described in the gospels and played a prominent role in the trial of Jesus in Matthew 26:57-67. The box is located in the Israel Museum. Jehohanan the Crucified Man. 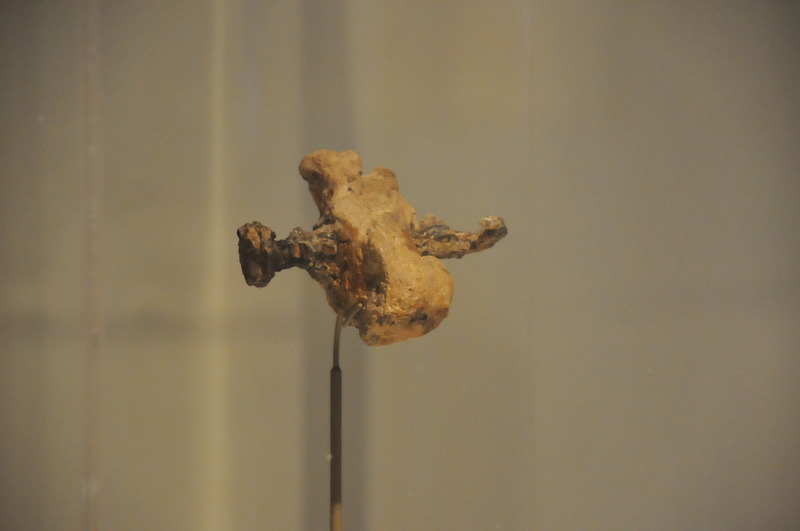 The first century crucified skeleton of a man was found in an ossuary in 1968 in an East Jerusalem neighborhood. The remains included a full skeleton. The ossuary had the inscription “Jehohanan the son of Hagkol.” The wrist and right heel bone still had the Roman seven-inch crucifixion spikes nails intact. These remains verify that crucifixion was being done and that the crucifixion of Jesus was done exactly as outlined in the biblical narrative. A model of the bone is found in the Israel Museum, as the museum does not display body parts due to Jewish religious law. Pool of Bethesda. This is the site of Jesus’ healing of a paralyzed man (John 5:2-11). 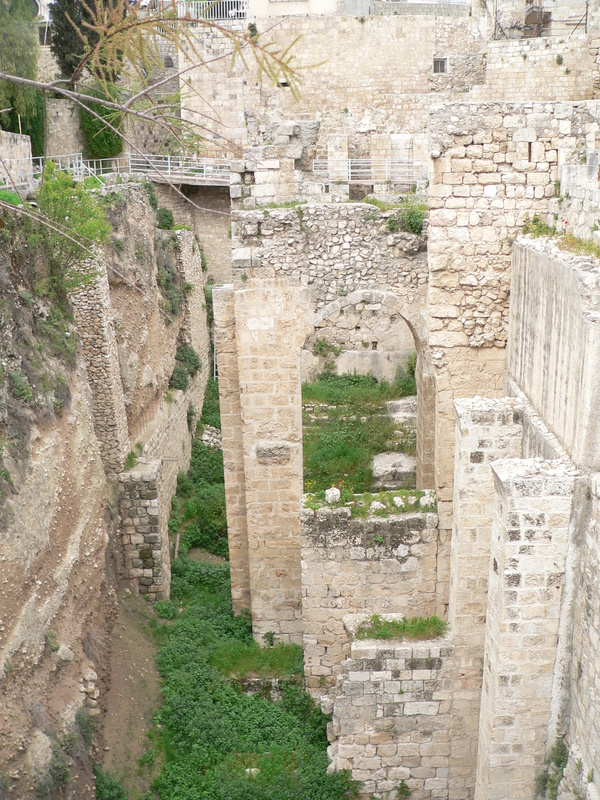 Much of the remains of this pool, in Jerusalem, have been unearthed since 1956. Prior to the discovery in 1888 near the church of St. Anne in Jerusalem near the temple mount, there had been no extra biblical mention of the site. Later excavations showed how the “five porches” (colonnades) were located a short distance from the “Sheep Gate” as described in John 5:2. Jacob’s Well. Located in ancient Samaria in the basement of a Greek orthodox church, which was originally dug by Jacob and the very place where Jesus had a conversation with a Samaritan woman (John 4:5, 6, 12; Genesis 33:18-19; 48:22). Located down the hill from Mt. Gerazim, the well still produces fresh water from the underground spring. 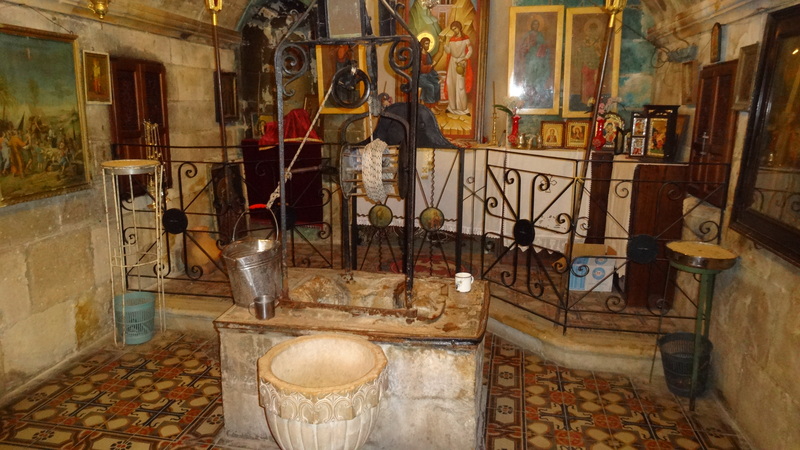 It can be visited in the modern city of Nablus where visitors are welcome to drink the water. Herodium. 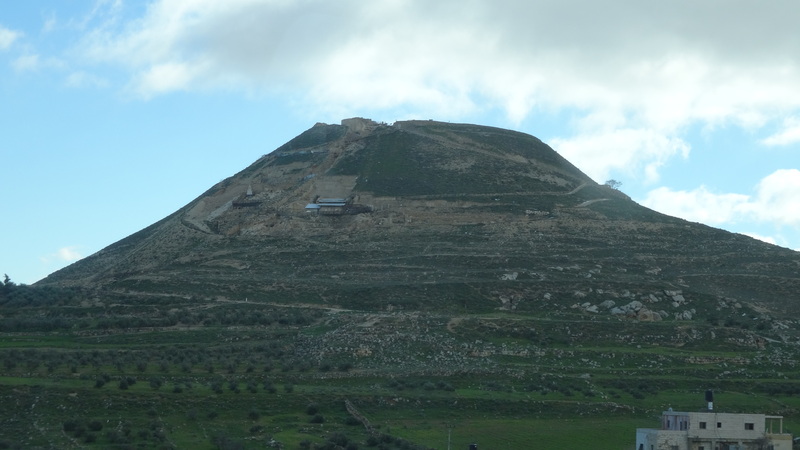 A short distance from Bethlehem in the West Bank, Herodium is a conical-shaped artificial hill built by Herod the Great. The 45-acre palace is the burial place of Herod the Great. It is believed that, in 2007, his tomb was uncovered by archaeologist Ehud Netzer.